West / Southwest IAF organizations have a substantive history of putting survivors at the center of recovery efforts following catastrophic disasters. 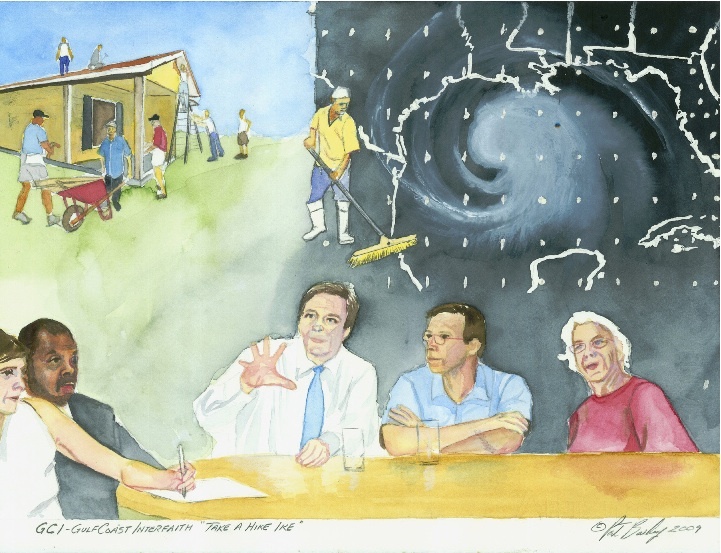 Such experience includes establishing "Survivor Leadership Groups" following Hurricane Katrina, ensuring state funds were allocated to counties that were most impacted by Hurricanes Ike and Rita, and leveraging hundreds of millions of dollars in public and private funds for survivors of flooding in Baton Rouge and Louisiana. In each of these cases, IAF leaders fought through bureaucracy and outsider 'expert knowledge' to ensure money and supplies got where they were needed. See below for additional information about these organizational efforts. When survivors began arriving in the Houston Astrodome, TMO began identifying potential leaders and teaching them to work in collaboration with already existing local organizations. In Dallas, shelters that housed upwards of 20,000 people emptied after two to three days as people dispersed to over 20 cities in the metroplex. DAI and TMO organizers engaged survivors (both in and out of shelters) and established 'Survivors Leadership Groups' that provided the social infrastructure for relocated residents to identify and articulate their joint concerns. Katrina Survivors Groups successfully addressed identified issues ranging from restoration of cell phone service to extension of FEMA housing deadlines. Click here for more. Even while Louisiana was still recovering from Katrina, Hurricanes Rita and Ike battered the Texas Gulf Coast. 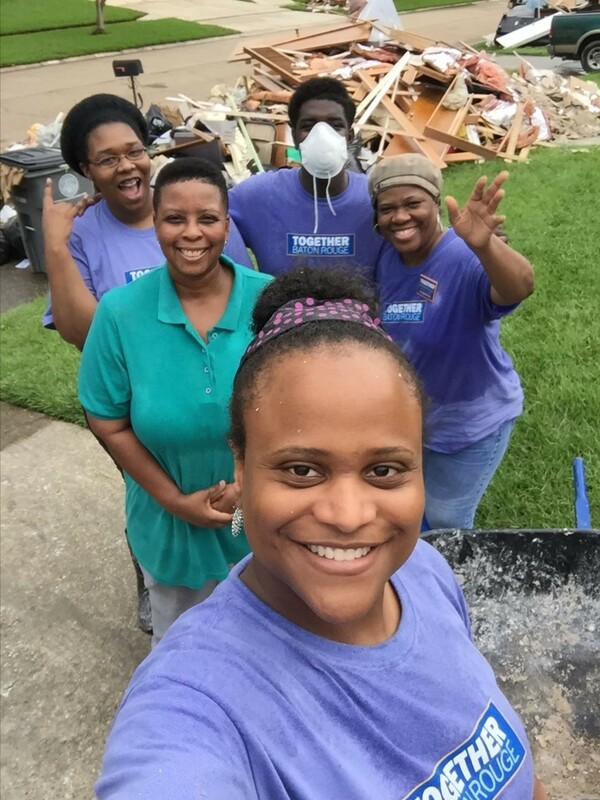 TMO established Gulf Coast Interfaith as an institution to tackle post-hurricane issues. Not only did the effort results in the replacement of hundreds of roofs of the lowest-income families, leaders also ensured that recovery funds went to the counties that needed them the most â€“ thus increasing recovery funds for low-income and elderly families devastated by the storms. Click here for 2009 Texas Houser Award. As soon as the rain stopped, Together Baton Rouge reached out through their networks to thousands of families who were stranded, but not in shelters. After asking survivors who were camping out in hotels and in the homes of friends and families what they needed, leaders expertly raised and directed over half a million dollars to deliver those items to their doorsteps. Responding to a practical idea, and in collaboration with private funders, TBR leaders went on to establish 100 living-wage flood recovery jobs for local workers to do much needed house-gutting and mold remediation. One month after the Louisiana floods, Together Louisiana (and sister IAF organizations) worked around the clock to fight for $500 million in federal funding for flood recovery. Leaders worked with Governor Bel Edwards and the Louisiana Congressional delegation to build the political will to secure those funds. Leaders from sister IAF organizations pressured their own congressional representatives to support the aid package in that year's budget negotiations. Click here for full account.